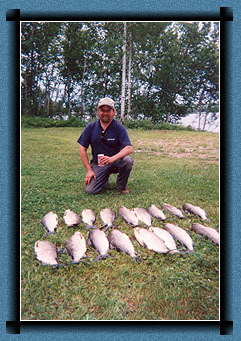 Flame Lake Lodge is located close to Chapleau, Ontario, which is well known for excellent Whitefish fishing. Whitefish in our lake are common in the 3 to 5 pound range with much bigger whitefish being caught. If you want to bring lots of fish home for a big fish fry, then take the opportunity while at the lodge to try some Whitefish. They are fun to catch as well because they fight really hard..